Our electronic security services are comprehensive and integrated and we can provide a tailored solution designed precisely to meet your particular requirements. To be truly effective, C.C.T.V. systems must be professionally designed and maintained. Camera positioning is absolutely key to the performance of our systems. A BS8418 installed and managed C.C.T.V. system is one of the most effective deterrents against crime. Our engineers and surveyors are able to advise you on exactly the right system and specification for your needs. C.C.T.V. is one of the most rapidly advancing areas of the security industry. We remain at the forefront of all new developments and our products are rigorously researched and tested for a lifetime of safe reliable operation. We have an extensive range of equipment, and however simple or sophisticated your C.C.T.V. needs, we can build a solution to meet them. 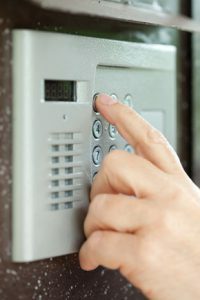 We specialize in all areas of access control. Our systems are designed to suit all needs, whether stand-alone or large multiple site applications; utilizing all types of card reader technology and smart systems with passwords to allow different levels of security. Our systems can utilize existing data network cabling to combine alarms, access control, C.C.T.V. and fire detection into a fully integrated system. Our access control systems include easy control and monitoring through a single desktop computer and can produce a full range of management reports. Programming the systems and tasks, such as adding new cardholders can be carried out by your staff. The use of an integrated access control system can greatly reduce the risk of malicious attack and damage by denying unauthorized access. Our intruder alarms are designed for a wide variety of applications, from small business premises to large multi-site installations. Our systems are modular in design, allowing for expansion which ensures future costs are kept to a minimum. We assess the risks to your premises and business operations and design a solution around them, combining proven techniques with cutting edge technology. Our approach ensures that your system is user friendly, simple and trouble free to give you the very best protection. Our current Fire and Security clients are benefiting from an I.P. Based system which costs half the price of BT Redcare. 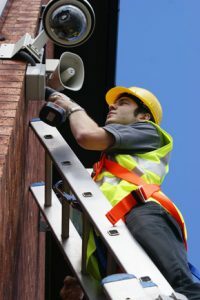 Huge savings can be made for national businesses looking to halve their intruder alarm costs. The monitoring of this system can be in conjunction with C.C.T.V. and is insurer approved. Remote monitoring through C.C.T.V. provides the ability to alert the police, security or key holders immediately. Our monitoring station is accredited to BS5979 category II and is multi-functional, also providing monitoring of traditional intruder, lone worker and fire alarms. Peace of mind knowing your property is monitored 24 hours 7 days a week, subject to service level agreement. Fully endorsed by UK’s leading insurers. If there is an attempted burglary or attack we will alert the emergency services. Ability to interact, respond, and control all levels of access to site. Highly skilled and dedicated analyst responding to activations, reducing the number of false police call outs. Can provide visual alarm confirmation for police response purposes. We offer a portfolio of products and services that allow us to provide a complete solution to your company’s fire and safety needs, whether a new build or an upgrade to existing premises. Fire alarm systems are designed, installed and maintained to BS5839 parts 1, 2, & 6 industry standards. Monitored and stand alone options are available.